Ever since its introduction in the UK and Europe in 2005, shelf-ready packaging (SRP) — also sometimes interchangeably called “retail-ready packaging or RRP” — has been growing steadily. Ten years on, Australian retailers realise the many benefits that SRP provides their business — from better on-shelf availability through to better stock rotation, faster shelf replenishment and reduced waste. A good example is Coles, which first introduced SRP into its stores in 2009. Since then, sales density has increased 27% and customer numbers are on the way to doubling: from 9 million to 16 million a year. But it’s not only retailers who can reap the benefits. Done well, SRP can protect your products throughout the supply chain, ensuring they look their beautiful best on the shelf. And let’s face it — if it came down to a perfectly presented product and a tattered, torn box, we know which one you’d choose. 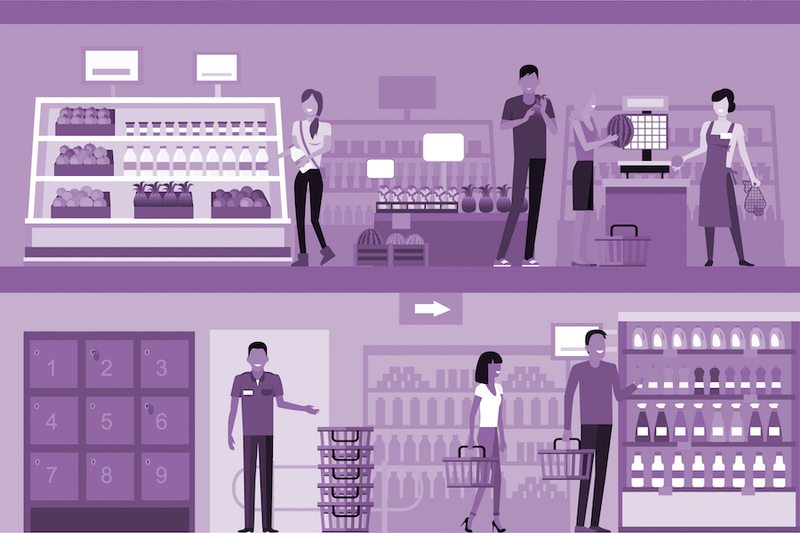 To help suppliers, retailers such as Aldi, Coles and Woolworths, have created guidelines on how SRP should be done — the “five easies”. Your packaging should be designed so the product can be easily recognised throughout the supply chain. This means the appropriate GS1 specifications should be used, and they should be visible and printed on at least two sides of the carton. (These “barcode related” FAQ’s have good explanations and you may find this blog on “behind the beep” interesting.) The carton should also be sturdy enough that it doesn’t fall apart or become crushed along its supply chain journey. SRP is all about speed and ease. The easier the packaging is to open, the faster it can get on the shelf and be seen by consumers. The easiest packaging formats to open in the store are those with trays and hoods. The opening point should be quick to locate with finger holes on the front and side panels and easy-to-follow instructions. The perforation should tear easily without damaging the front panel and without the need for a carton cutter (except with the initial tray and shrink wrap). There should also be no tape covering the perforation and no strapping around the box. In fact, the simpler, the better. The perfect SRP units should be transferrable to the store shelf in one step. To achieve this, the packaging needs to be stable, with the number of facings suitable for the rate of sale. Coles requires that the trade unit should not exceed 10kg and that the carton count should be two deep on the shelf, though other retailers may vary. The most successful SRP should make it easier for the consumer to choose your product. Ensure the product description is clearly visible on the retail packaging, with units of measure clearly visible. The customer should be able to remove and return the product easily to the shelf, without damaging the packaging. Also, the usual packaging rules apply to make sure your product stands out on the shelf. Maximise your visual branding and aim for a quality presentation, which means no raw cardboard edges. Coles requires that all shelf ready packaging must meet the Australian Packaging Covenant guidelines. They aren’t alone, so it’s best to follow these guidelines as standard. Your packaging design should allow easy separation of cardboard and plastic for easy disposal and recycling. Where relevant, print the correct recycling logos on all trade unit packaging. And as always, there should never be any excessive or unnecessary packaging on the product. Is the carton design suitable for SRP? Will it support the weight of the product and keep the product at the right temperature? Is the board grade strong and robust enough? Remember, board with a greater percentage of longer, virgin fibre tends to be stronger than board with a high percentage of shorter fibre, recycled content. Are the perforations located to keep the barcodes and other critical information intact? Are perforations breaking open in transit? Conduct tests to see what happens. Can team members safely and easily pick the carton from a pallet? Can the carton be safely stacked with other products on a store pallet with mixed items? Are the opening instructions clearly located on the top of the carton and easy to follow? Keep it simple and intuitive. It can help to watch store staff interact with existing SRP in a store. Does the packaging design stand out on the shelf? At the end of the day, you want consumers to choose your product. Go the extra mile and make sure the artwork fits the packaging parameters. Remember, the best approach is to work closely with your customers (the retailers) and make sure you understand all of their unique requirements for shelf ready packaging. 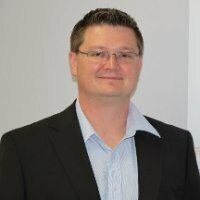 While there are general standards, every retailer will have unique specifications when it comes to shelf dimensions, automated warehouse systems, and so on. While SRP is now entrenched on our supermarket shelves, there’s still quite a lag in manufacturers’ uptake. This article from our Thought Leader series explains why. This blog also looks at why more manufacturers aren’t using SRP. Don’t forget, Matthews has a full range of whitepapers, case studies, articles and brochures to help answer your technical questions. They’re all free to download. And if it’s inspection technologies you’re looking for — such as check-weigh, metal detection, x-ray and vision inspection — you’ll find a host of information here. The Trading Partner Forum was previously called ECRA, or Efficient Consumer Response Australasia. The Forum is a “meeting place” for FMCG suppliers and retailers/wholesalers focusing on delivering end-to-end value chain efficiency for the industry across Australia and New Zealand. You can check it out here. Find the full Coles SRP Supplier Guide here. Is your brand being sold in other markets – and you don’t even know?